Joaquin is a full-stack and hybrid mobile app developer with over 12 years of experience working for companies like WebMD and Getty Images. On a typical Angular application we have components and services. Usually, components will serve as the view template. Services will contain business logic and/or communicate with external APIs or other services to complete actions or retrieve data. Components will usually display data and allow users to interact with the app to execute actions. While doing this, data may change and the app reflects those changes by updating the view. Angular’s change detection engine takes care of checking when a value in a component bound to the view has changed and updates the view accordingly. As the app grows, we’ll start having more and more components and services. Often understanding how data is changing and tracking where that happens can be tricky. When we use Firebase as our back end, we are provided with a really neat API that contains most of the operations and functionality we need to build a real-time application. We can think of “state” as being the values displayed at any given point in time in the app. The store is simply the holder of that application state. State can be modeled as a single plain object or a series of them, reflecting the values of the application. Let’s build it: First, we’ll create a basic app scaffold using Angular CLI, and connect it with a Firebase project. Now, we’ll create a Firebase Project at the Firebase console. Then we’re ready to create a Firestore database. For this tutorial, I’ll start in test mode. If you plan to release to production, you should enforce rules to forbid inappropriate access. Go to Project Overview → Project Settings, and copy the Firebase web config to your local environments/environment.ts. We’ll create two generic abstract classes, which we’ll then type and extend from to build our services. Generics let you write behavior without a bound type. This adds reusability and flexibility to your code. In order to take advantage of TypeScript generics, what we’ll do is create a base generic wrapper for the @angular/fire firestore service. This abstract class will work as a generic wrapper for our Firestore services. This should be the only place where we should inject AngularFirestore. This will minimize the impact when the @angular/fire library gets updated. Also, if at some point we want to change the library, we will only need to update this class. I added doc$, collection$, create, and delete. They wrap @angular/fire’s methods and provide logging when Firebase streams data—this will become very handy for debugging—and after an object is created or deleted. Our generic store service will be built using RxJS’ BehaviorSubject. BehaviorSubject lets subscribers get the last emitted value as soon they subscribe. In our case, this is helpful because we’ll be able to begin the store with an initial value for all our components when they subscribe to the store. As a generic class, we’ll defer typing until it’s properly extended. The constructor will receive the initial value of type Partial<T>. This will allow us to only apply values to some properties of the state. The constructor will also subscribe to the internal BehaviorSubject emissions and keep the internal state updated after every change. patch() will receive the newValue of type Partial<T> and will merge it with the current this.state value of the store. Finally, we next() the newState and emit the new state to all of the store subscribers. set() works very similarly, only that instead of patching the state value, it will set it to the newValue it received. We’ll log the previous and next values of the state as changes occur, which will help us debug and easily track state changes. Okay, let’s see all this in action. What we’ll do is create an employees page, which will contain a list of employees, plus a form to add new employees. Finally, let’s create the actual components of our employees page, plus the corresponding model, service, store, and state. We’ll need a file at employees/services/employees-page.store.ts. Here we’ll extend the StoreService<T> created before. We’ll set the store name, which will be used to identify it when debugging. This service will initialize and hold the state of the employees page. Note that the constructor calls super() with the initial state of the page. In this case, we’ll initialize the state with loading=true and an empty array of employees. Note that we are injecting the EmployeeFirestore and EmployeesPageStore in this service. This means that the EmployeesService will contain and coordinate calls to Firestore and the store to update the state. This will help us create a single API for components to call. Let’s take a look at how the service will work. In the constructor, we’ll subscribe to the Firestore employees collection. As soon as Firestore emits data from the collection, we’ll update the store, setting loading=false and employees with Firestore’s returned collection. Since we have injected EmployeeFirestore, the objects returned from Firestore are typed to Employee, which enables more IntelliSense features. This subscription will be alive while the app is active, listening for all changes and updating the store every time Firestore streams data. The employees$() and loading$() functions will select the piece of state we want to later use on the component. employees$() will return an empty array when the state is loading. This will allow us to display proper messaging on the view. Observables allow subscribers to receive emissions of data as a stream. This, in combination with the async pipe, can very powerful. The async pipe takes care of subscribing to an Observable and updating the view when new data is emitted. More importantly, it automatically unsubscribes when the component is destroyed, protecting us from memory leaks. You can read more about Observables and RxJs library in general in the official docs. Looking at this, we can tell that Firestore streamed the employees collection with empty values, and the employees-page store was patched, setting loading from true to false. Let’s take a look at what happens when we add a new employee. These are all the events that get triggered when adding a new employee. Let’s take a closer look. When we call create() we’ll execute the following code, setting loading=true, formStatus='Saving...' and the employees array to empty ((1) in the above image). Next, we are calling the base Firestore service to create the employee, which logs (4). On the promise callback, we set formStatus='Saved!' and log (5). Finally, we set a timeout to set formStatus back to empty, logging (6). Log events (2) and (3) are the events triggered by the Firestore subscription to the employees collection. When the EmployeesService is instantiated, we subscribe to the collection and receive the collection upon every change that happens. This sets a new state to the store with loading=false by setting the employees array to the employees coming from Firestore. If we expand the log groups, we’ll see detailed data of every event and update of the store, with the previous value and next, which is useful for debugging. Let’s say we now want to display some summary data on our page. Let’s say we want the total number of employees, how many are drivers, and how many are from Rosario. The employees service calculates the total totalEmployees, totalDrivers, and totalRosarioEmployees on each emission and updates the state. The full code of this tutorial is available on GitHub, and there’s also a live demo. Managing Angular App State Using Observables… Check! 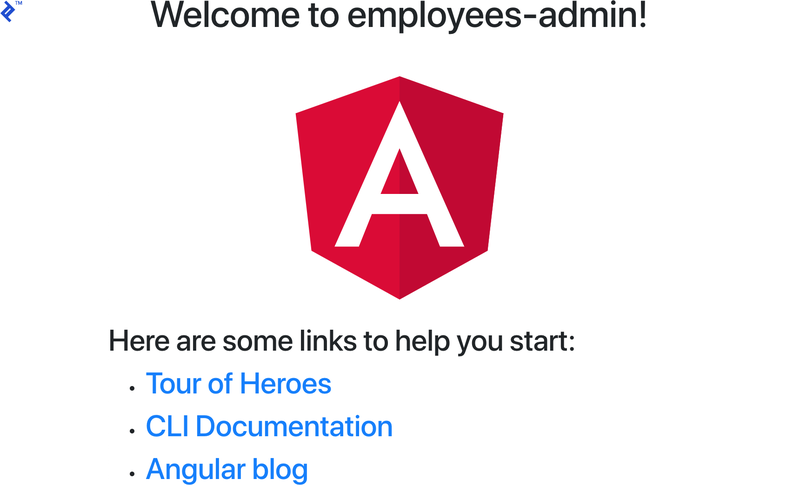 In this tutorial, we covered a simple approach for managing state in Angular apps using a Firebase back end. This approach fits nicely with the Angular guidelines of using Observables. It also facilitates debugging by providing tracking for all updates to the app’s state. The generic store service can also be used to manage state of apps that don’t use Firebase features, either to manage only the app’s data or data coming from other APIs. But before you go applying this indiscriminately, one thing to consider is that EmployeesService subscribes to Firestore on the constructor and keeps listening while the app is active. This might be useful if we use the employees list on multiple pages on the app, to avoid getting data from Firestore when navigating between pages. But this might not be the best option in other scenarios like if you just need to pull initial values once and then manually trigger reloads of data from Firebase. The bottom line is, it’s always important to understand your app’s requirements in order to choose better methods of implementation. Angular (originally AngularJS) is a popular front-end framework for creating single-page applications (SPAs). It's open-source and backed by Google. 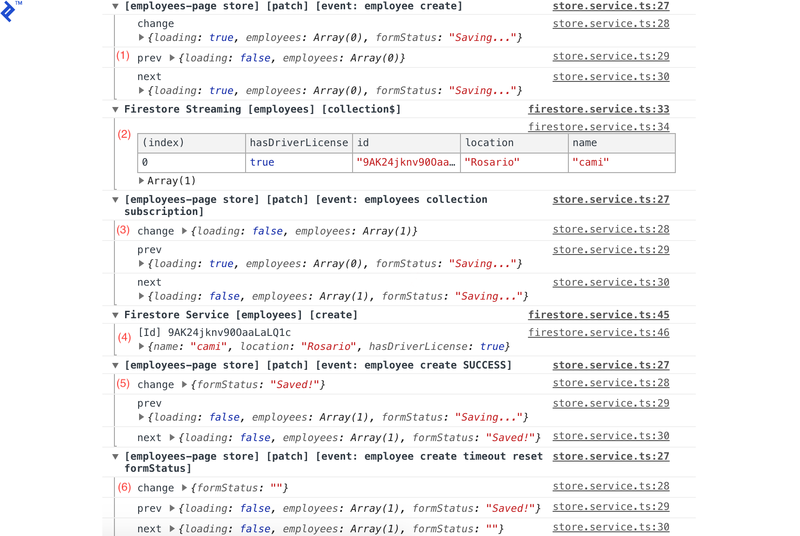 State management is about properly tracking variables in a web app. E.g. if a chat app user switched chatrooms, that's a change in state. If they then sent a message, but the sending feature was not aware of the earlier state change, it would send the message to the previous chatroom, resulting in a very poor UX. Google's Firebase is an all-in-one mobile app development platform. It's well-known for its original real-time database offering, but nowadays includes integrated crash reporting, authentication, and asset hosting, among others. Joaquin is a full-stack developer with over 12 years of experience working for companies like WebMD and Getty Images. He specializes in web application development and has also experience building hybrid mobile apps. He has an entrepreneurial mindset and approach to projects which means he always tries to help a business get the most value in the least amount of time possible.